Precision Coatings is committed to serving our customers by providing high performance coating systems that are low VOC with extended life cycle service, fine finish grade aesthetics and have a wide range of optical effects. Precision Coatings has been manufacturing high quality fine finishes since 1959. Our roots are in automotive refinish and fleet coatings market where we continue to service a diverse group of customers. Precision’s commitment to quality, performance and VOC compliant coatings now includes the commercial architectural market, the recreational marine market and the OEM fabrication markets. We have a significant color offering including metallic paint colors, pearl paint colors and solid colors in a broad range of sheens including, matte, eggshell, satin, semi-gloss and gloss. Our products include high-grade acrylic aliphatic polyurethanes, single component waterborne polyurethanes, polysiloxane-epoxy finishes and corrosion resistant modified epoxy primers. Precision Coatings has lead the way in introducing performance coatings for use in occupied spaces that are application friendly and environmentally compliant. 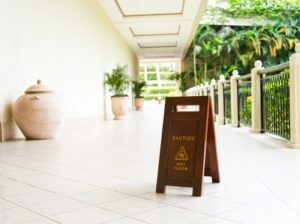 Products such as PC5 polysiloxane-epoxy, PC6 waterborne polyurethane, DTM 1600 waterborne polyurethane primer, SlipShield® slip resistant floor coating and EeZeClean Dry Erase Paint all can be applied with minimal disruption to operations in buildings that are occupied. At Precision Coatings we are investing in our future by investing in R&D. Our development work on new products is key to our growth and our meeting your needs tomorrow. You can find Precision Coatings in both national and regional paint and coatings distribution throughout the United States, Canada and Latin America. Our coatings meet the specialized requirements of architects, specifiers and owners in terms of color, sheen and finish. Please contact us if you need our products to meet your needs and we will put you in touch with our local distributor or dealer. Thank you for your time and consideration of Precision Coatings.